Difference between revisions of "Colour map"
W:A stores the extra settings in an extra [[w:Portable Network Graphics#"Chunks" within the file|PNG chunk]], labeled '''w2lv''' or '''waLV'''. The chunk, excluding the label header, is at least 40 bytes long, and contains the same data as the header for [[Monochrome map (.bit)|monochrome maps]]. 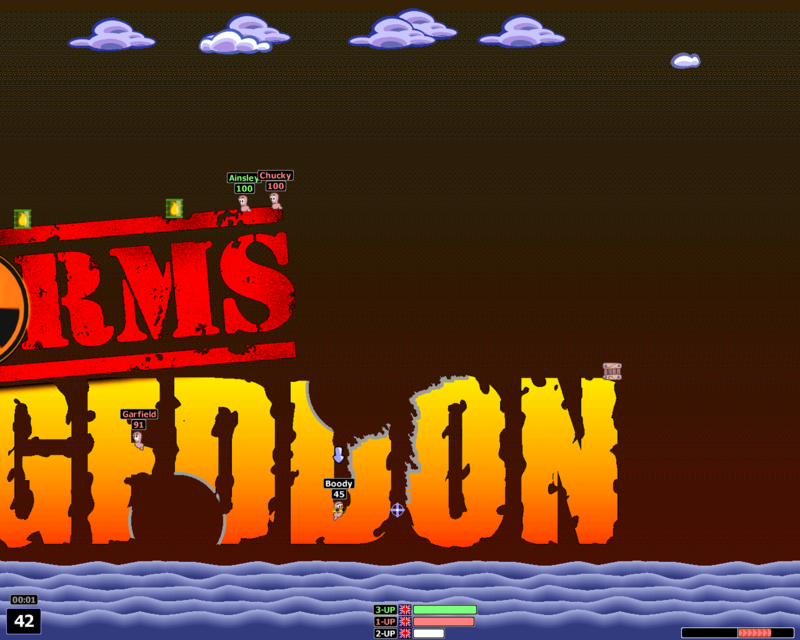 Extensions to the header format add extra bytes at the end; so far, there is one optional extra byte which controls the number of worm/object placement holes (the default is 18). W:A stores the extra settings in an extra [[w:Portable Network Graphics#"Chunks" within the file|PNG chunk]], labeled '''w2lv''' or '''waLV'''. The chunk, excluding the label header, is at least 40 bytes long, and contains the same data as the header for [[Monochrome map (.bit)|monochrome maps]]. Extensions to the header format add extra bytes at the end; so far, there are two optional extra bytes which control the number of worm/object placement holes (the default is 18). 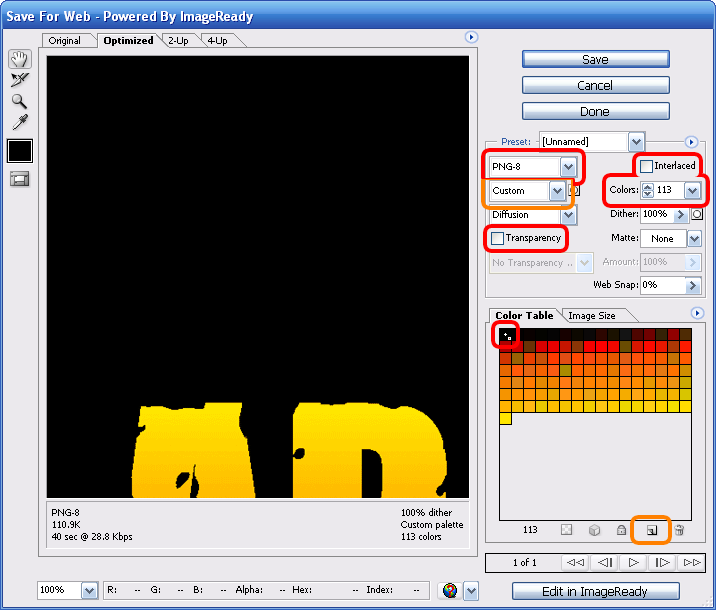 [http://entropymine.com/jason/tweakpng/ TweakPNG] allows manipulation of PNG images on the chunk level, thus allowing chunk import/export, etc. The black colour, which must be present in the colour palette, is considered as transparent (zones/pixels painted black will appear as free space in the game). the minimum map size is 640×32 pixels. A list of valid sizes having the standard aspect ratio (80:29) is available here. What the game will look like when playing on a 112-colour map (or 113-colour including black). 97–112 colours – destroyed soil will be transparent; the destroyed-soil border is solid gray ( #9C9D9C). 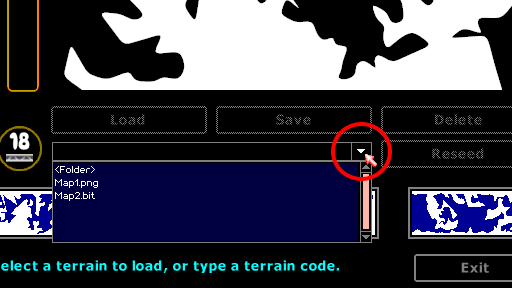 You will become unable to adjust terrain holes (etc.) using the map editor (land girder palette limitation?). The background gradient palette will be evenly loaded into the remaining space in the palette, and the background gradient is redithered using the map + background palette—thus, a map with 112 colours (bar black) will have a background gradient dithered exclusively from the map's palette. 113 colours and more – the map will not load. 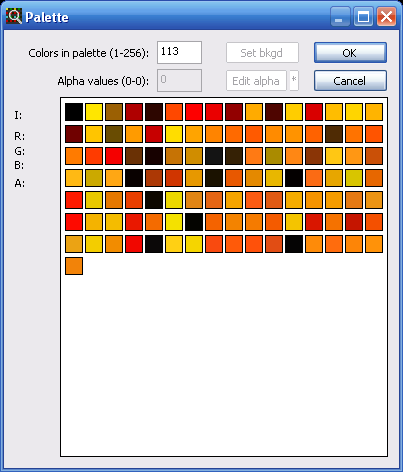 These restrictions apply to the palette size, not merely the number of unique colours. WA will automatically reduce the palette losslessly, or offer to dither the image. Internally WA only supports a palette of 113 colours or less and requires that the colour at palette position 0 is black. W:A stores the extra settings in an extra PNG chunk, labeled w2lv or waLV. The chunk, excluding the label header, is at least 40 bytes long, and contains the same data as the header for monochrome maps. Extensions to the header format add extra bytes at the end; so far, there are two optional extra bytes which control the number of worm/object placement holes (the default is 18). TweakPNG allows manipulation of PNG images on the chunk level, thus allowing chunk import/export, etc. You may edit an already existing map. This will not allow you to edit the palette with Microsoft Paint, however you can use TweakPNG to do that. You may create a new map in MS Paint as usual, and later reduce the number of colours in the palette using TweakPNG. You must however be careful to only use the colours at the beginning of the colour palette, otherwise your map will not load or will lose colour information. Before drawing your new map, you may create your colour palette beforehand. To do that, create a new 256-colour PNG (see below), and then edit the palette chunk using TweakPNG, and resize the palette to at most 113 colours. You can also edit the palette colours from TweakPNG. After you're done, save the image and open it with Paint - Paint will now use the palette specified by you. when prompted about loss of colour information, click Yes. This will downsample your current image to use a standard 256-colour palette. enter the name of your 256-colour .PNG image and click Save. After you're done, you may delete the temporary BMP file created in step 4. The saved PNG will have 256 colours in the palette - see above on how to reduce the number of colours with TweakPNG. click Save, enter a file name. Note: You could also use "Image → Mode → Indexed Color..." to make a paletted image, but the quality will be poorer comparing to "Save for Web" or ImageReady. The same thing can be done using ImageReady, if you prefer. draw or open your map. 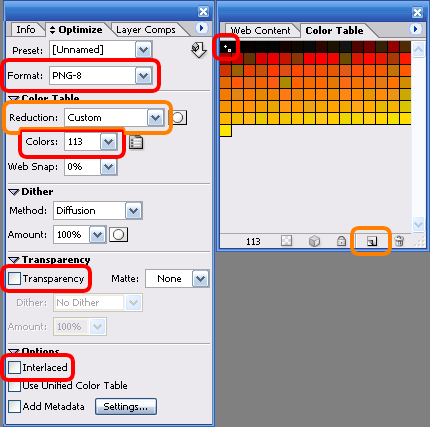 bring up the Optimize and the Color Table panels*. set the options as if it were in Photoshop. select File → Save Optimized, or Save Optimized As... and enter a file name. *Note: The panels are called "palettes" in ImageReady. The image will be saved as a 4-bit image if you select fewer than 17 colours. WA only accepts 8-bit images. select the desired colour-reducing image options. Normally you'll want to generate an optimum colour palette and use some kind of dithering (you don't need transparency dithering as W:A doesn't understand PNG transparency). 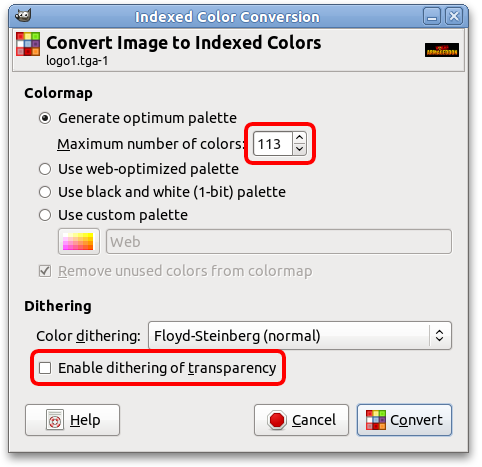 Maximum number of colors should be set to 113 or below (see above for details on side effects of using certain colour ranges). It must also be a number above 16, otherwise GIMP will save your PNG as a 4-bit or 1-bit image, instead of an 8-bit image required by W:A. Hint: you can find the colour index of a pixel in the image by selecting the Color Picker tool, and clicking in the transparent/black area. The Index field will show the clicked colour's index. 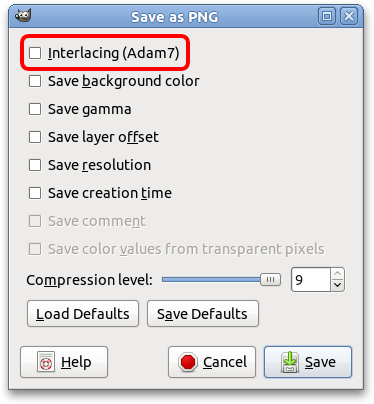 set the R, G and B values to 0.
uncheck Interlacing as it will only increase your image's file size. compression level can be set to maximum (PNG is a lossless format, so compression does NOT affect image quality). For the best visual effect, you should select a background for your map before distributing it. The background is set by selecting a map texture using W:A's map editor, which is stored in a custom PNG chunk in the .png file. If your map has over 96 colours, selecting a background matching your map's colour theme will allow W:A to render a better-looking gradient. Backgrounds for colour maps (click to enlarge). To load a colour map in W:A, copy it to your User\SavedLevels folder, or a subfolder of that folder. You can load your map in W:A by opening the map editor (right-click the map thumbnail in the offline multiplayer or host screen), and selecting the map from the drop-down combo box (see image). This page was last modified on 22 August 2013, at 20:26.